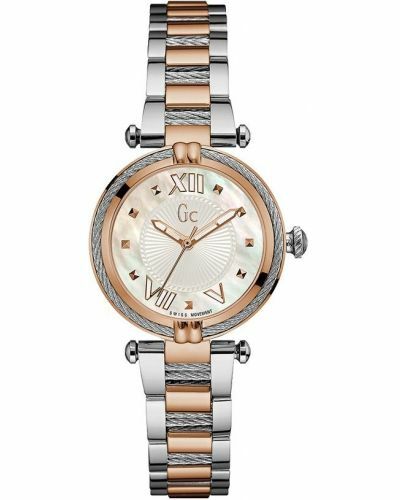 Striking at first glance; this beautiful watch presents with a 38mm round rose gold plated stainless steel case with a cable effect stainless steel bezel in which houses the alluring grey dial. Three sub-dials demonstrate the day, date and a 24 hour clock. Adorned with elegant rose gold hour markers and crisp white batons highlighted with rose gold; this beautiful watch is easy to read. 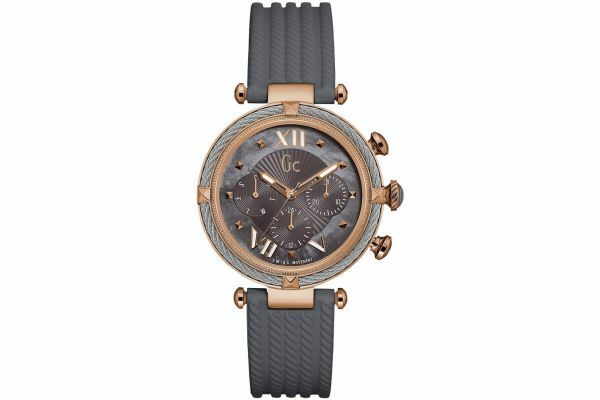 Set upon a cable effect grey silicone strap and attatched by rose gold T-bar fastening; the CableChic is both stylish and practical. A simple rose gold plated stainless steel buckle fastening adds an element of simplicity and comfort to the watch. 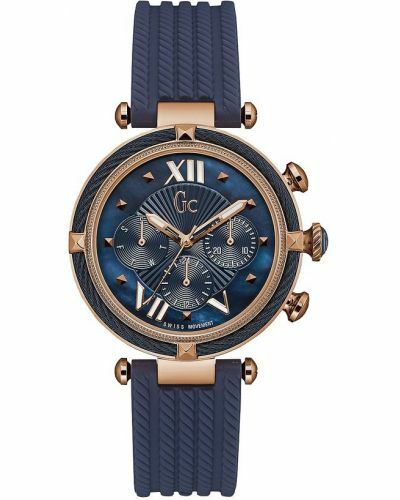 Powered by Quartz movement and protected by mineral glass, the CableChic is water resistant up to 100 meters and comes complete with a two year guarantee.